Constituency Labour Party nominations in the leadership election closed yesterday, with Jeremy Corbyn securing 285 CLPs, 84.3% of all those that made nominations, compared to Owen Smith’s 53, or 15.7% of the total. This marks an increase of 133 from Corbyn’s total in 2015 – an almost doubling of support, despite 55 fewer CLPs choosing to make a nomination. Given the previous correlations between CLPs and members’ votes, this would appear to show the leadership election may well be over for Owen Smith. 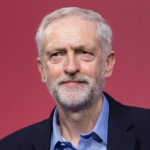 Corbyn has also picked up the nominations of eight of the party’s 15 affiliated unions, which are Aslef, BFAWU, CWU, FBU, UCATT and TSSA, as well as the two largest unions, Unison and Unite. Young Labour’s National Committee also voted to support Corbyn by a large majority. Smith on the other hand has the more traditionally right-leaning unions, Community and USDAW, as well as the Musicians’ Union and the GMB. Ballot papers will now be sent out to all members on Monday, and will also be able to vote online, before the result is announced at a special conference on Saturday the 24th of September. The Sunday Times report that the Party bureaucracy are “blacklisting” from voting , 1,000 of the £25 Supporters every day, based on their scanning of social media accounts for “Trotskyists” (ie, anyone on the Left) as part of the most blatant gerrymandering exercise in UK political party history that I am aware of. Combine this with the (admittedly overlapping) freezing out of voting of circa 130,000 post January new members. The Right and their bureaucracy are going all out to corrupt this election, so I just hope that the registering and counting of the votes is being well supervised by the Electoral Reform Society or some such body. To paraphrase a , possibly apocryphal , cynical comment by one of Stalin’s inner circle : ” its not who votes that matters …. but who counts the vote “. Stoke Central, Tristram Hunt MP. 90% Corbyn. I paid £25 and I served a 5 year expulsion from Labour for leaving the Labour party and standing in the 2010 General election. My reason was that the NEC ‘parachuted’ a person into the vacancy, after suspending my CLP. Most people around here reckon I will not be allowed a vote. The questionnaire asked: ‘Do you support the ‘aims and values’ of Labour? YES. (my expulsion claimed I had ‘no aims and values…..etc (30 years loyal membership). Q2. ‘Have you ever belonged to another political party? NO. (forgive me for thinking that other party members cross the floor daily). I’ve never been labelled a Trotski but I do remember on occasion being harangued for supporting Kinnock, Smith, Blair, Brown (but not Hunt). My £25 is a genuine attempt to support a man I believe is honest and has done it the hard way and I offer my support for John also for doing similar. We’ve been busy in Stoke-on-Trent you know. We may have to fight for every single excluded vote since the employed staff of all the country’s irreconcilable MPs have been instructed to search for possible reasons as to why an individual should not be given a vote. A suspension takes time to be removed after which damage will be done. It seems to me quite fair not to allow a vote if someone has quite recently and publicly supported an opposing Party or has made public statements that reject Labour or has been grossly offensive (excepting of course, comments about Corbyn Nazi Storm-troupers). But I expect that the ‘establishment’ will look for more. Beckett, one of the procedural committee members has recently pointed to joining Labour to support Corbyn is not a sufficient justification for voting since a higher level of commitment is anticipated. Although I do not believe they (and other procedural committee members) will go that far something of their thinking has been revealed. Incidentally this chimes with some Left wing members who have tended to the view that voting to support Corbyn alone is their inadequacy rather than an organisation’s lacking in imagination or strategy and pessimistic about the prospect of successful engagement of the ‘Podemos’ people. I haven’t attempted to join the Labour party because Labour is not accepting new members. I paid £25 as per the instruction that I would have a vote and I can express that vote to Owen or Jeremy. As it happens, I intend to cast my vote for Jeremy for the reasons stated. I am not making any claims to want membership in order to vote and so the NEC should not disallow me for attempting to do so. When I do (if) make an attempt to re-join Labour, I want my full rights back which were taken away from me for good measure in order to politically ruin me, ie, re-installed back onto the Parliamentary panel and local Government panel. Not too much to ask, is it? They can’t have been nominations, because as Jeremy Corbyn has been insisting, he doesn’t need nominations. Good try , but entirely Wrong, David Boothroyd . The CLP nominations were indeed “nominations” – but of a purely indicative type , as contrasted with the entirely different category of PLP nominations required in our Party Constitution for a challenger to the existing Party Leader, ie, currently Jeremy Corbyn. After even the Courts have ruled clearly on this so recently, David, I would have thought you would have grasped this by now. What was that phrase of Captain Mainwaring on Dad’s Army ? … oh , yes … “Stupid Boy !”.